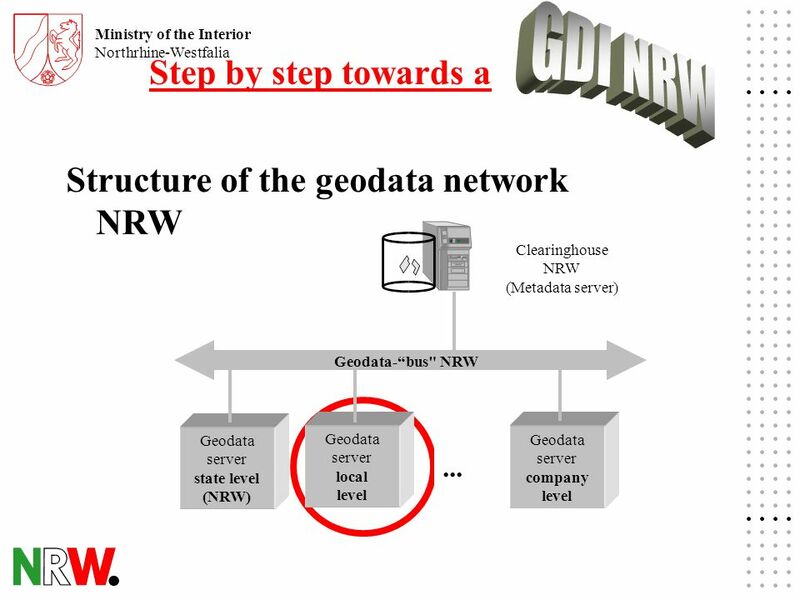 Ministry of the Interior Northrhine-Westfalia Geographic Data Infrastructure for NRW (GDI NRW) by Heinz Brüggemann and Anke Liebig IM NRW. 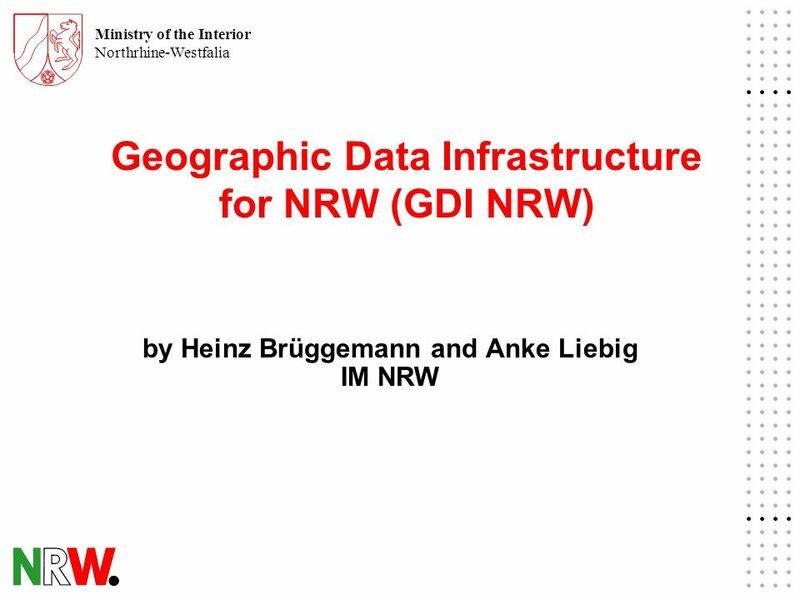 Download ppt "Ministry of the Interior Northrhine-Westfalia Geographic Data Infrastructure for NRW (GDI NRW) by Heinz Brüggemann and Anke Liebig IM NRW." 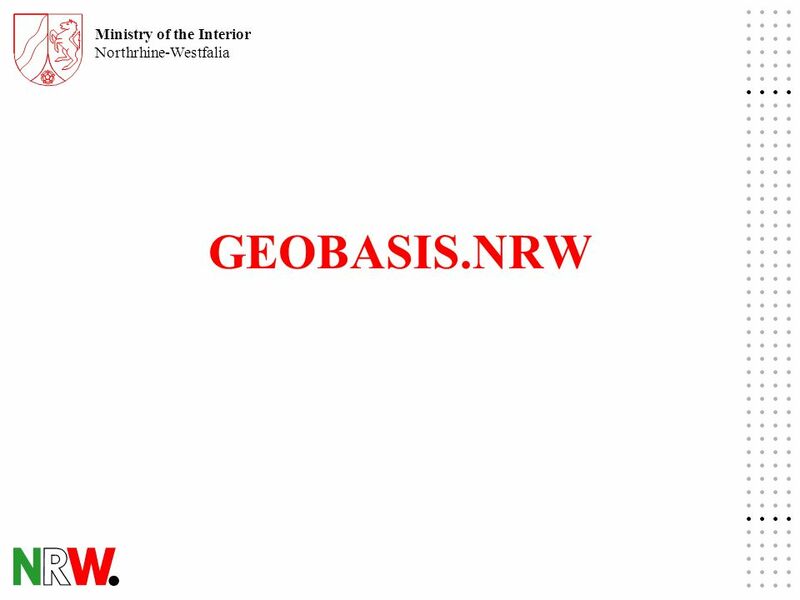 Zentrum für Innovation und Technik in NRW 2. 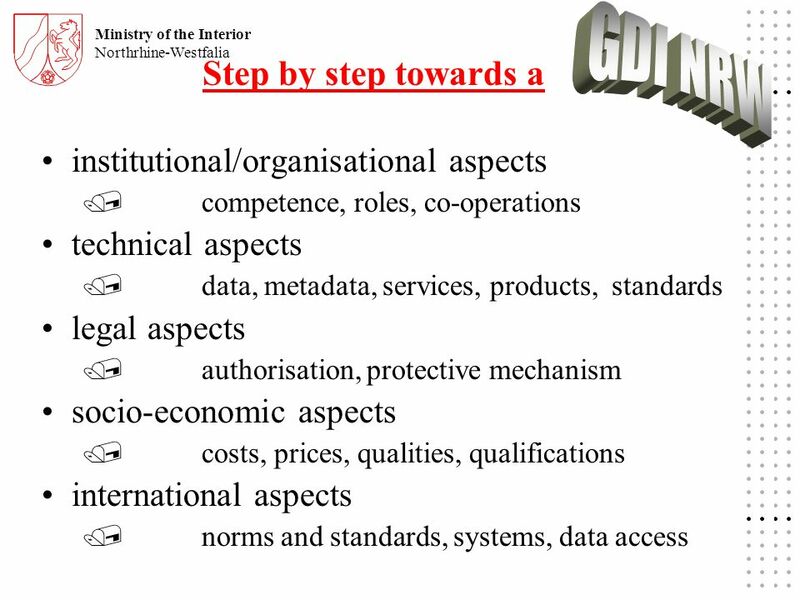 COCOM Meeting Oslo, 24 & 25 May 2004 STRATINC – Strategic Intelligence Strategic Intelligence and Innovative. 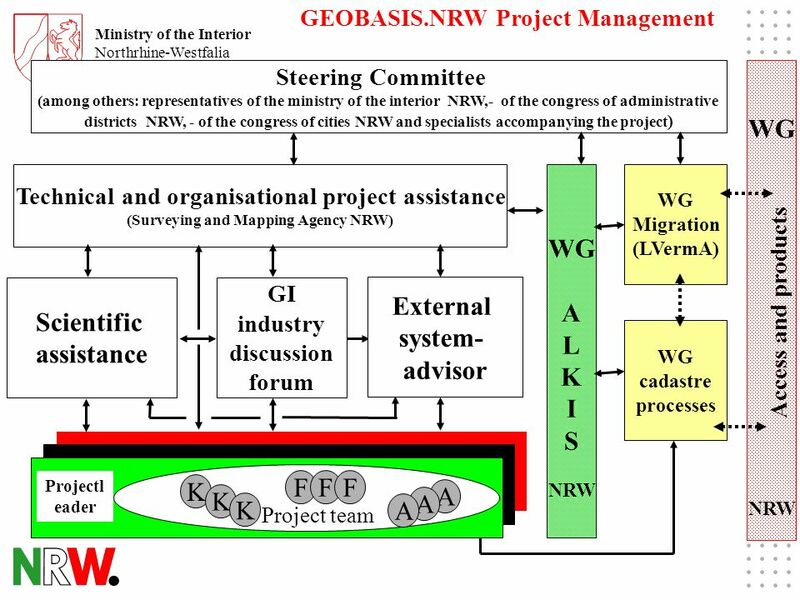 Commission7 Annual Meeting 2003 Krakow, Poland Wonjun Choi Korea Cadastral Survey Corp. KOREA Commission7 Annual Meeting 2003 Krakow, Poland Wonjun Choi. 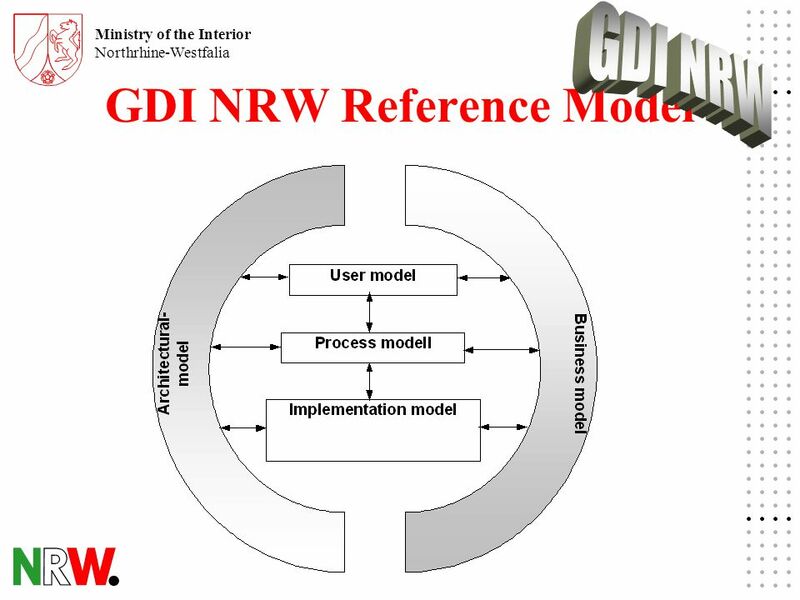 IT Renewal Strategy for Land Registry and Cadastre in Europe Dr.-Ing. 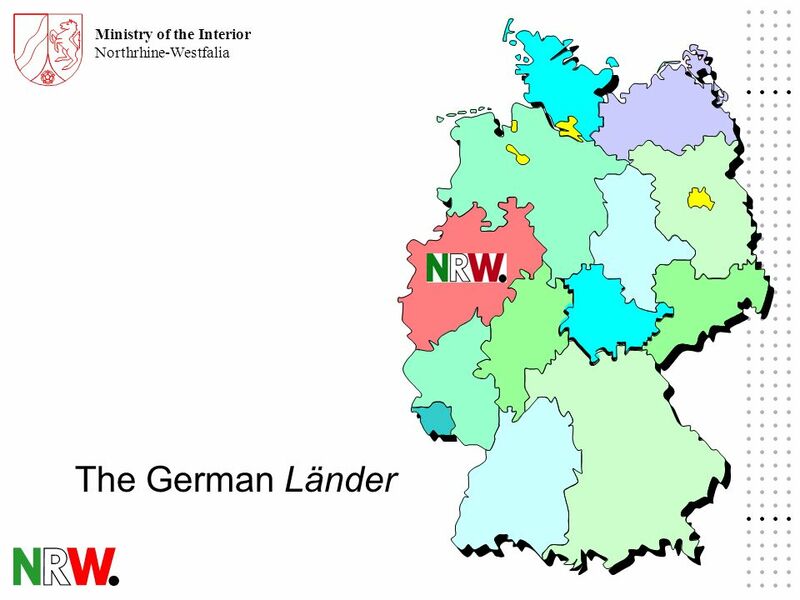 Winfried Hawerk Germany. 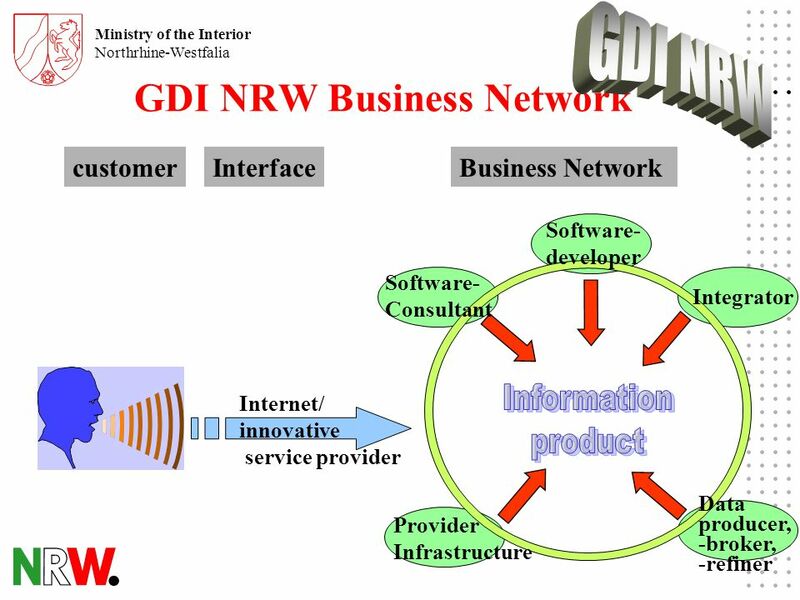 Ministry of Public Sector Development Public Sector Development Program Better Government Delivering Better Result. 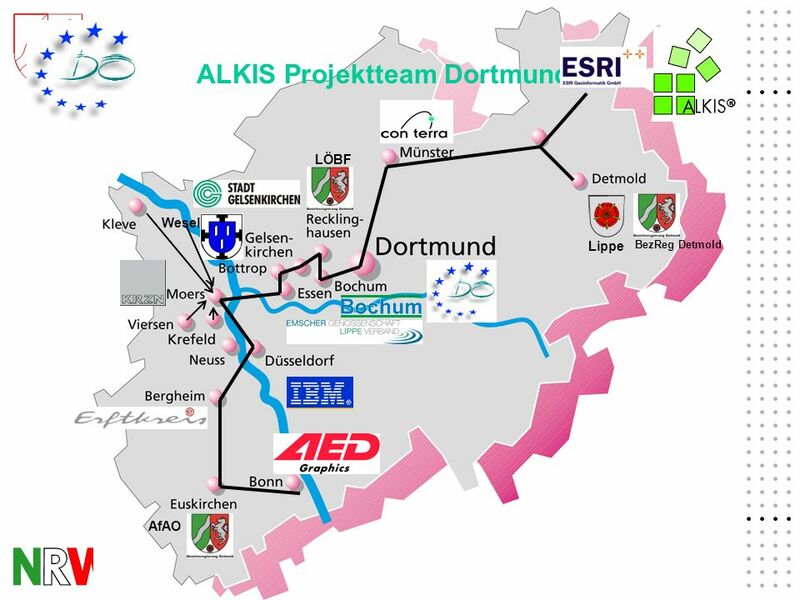 Fraunhofer Institute Secure Telecooperation Areas of Work. 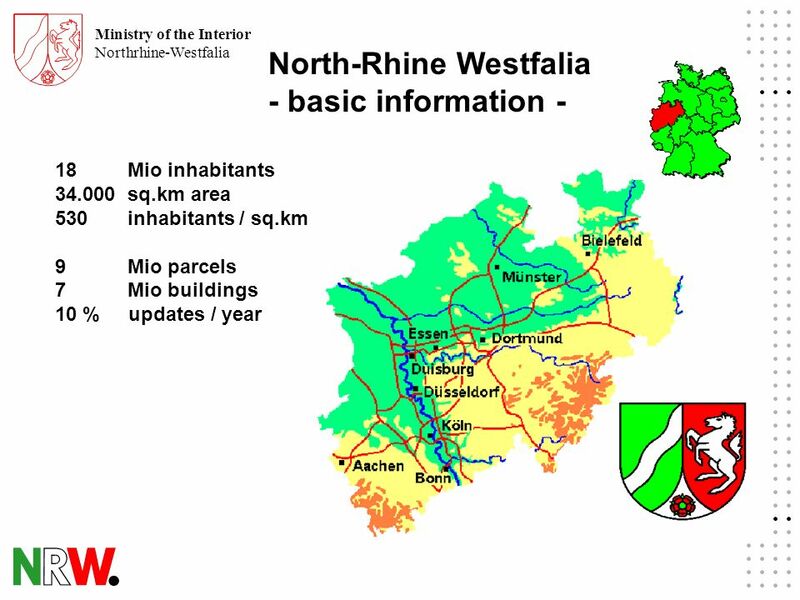 The German Infrastructure Atlas Steffen Schmitt – Project Director Infrastructure Atlas Federal Network Agency Planning Broadband. 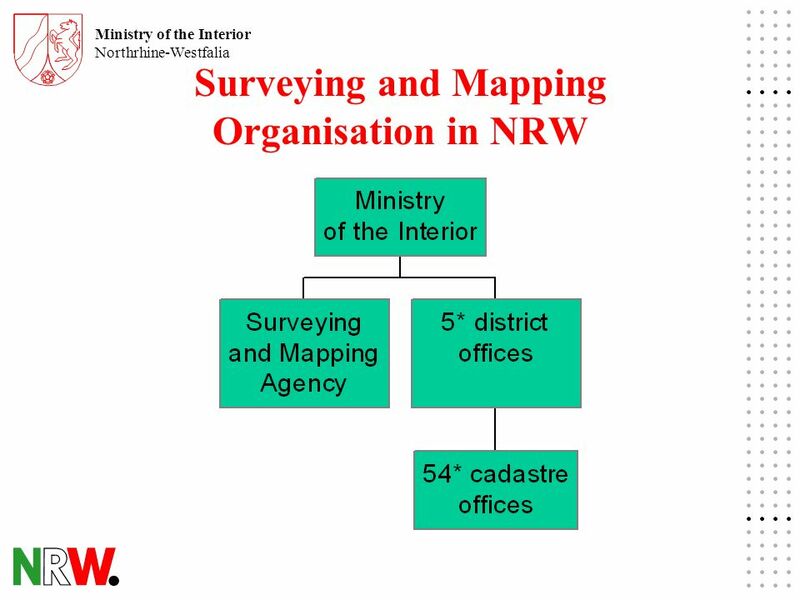 Organisational trends in the German surveying authorities. 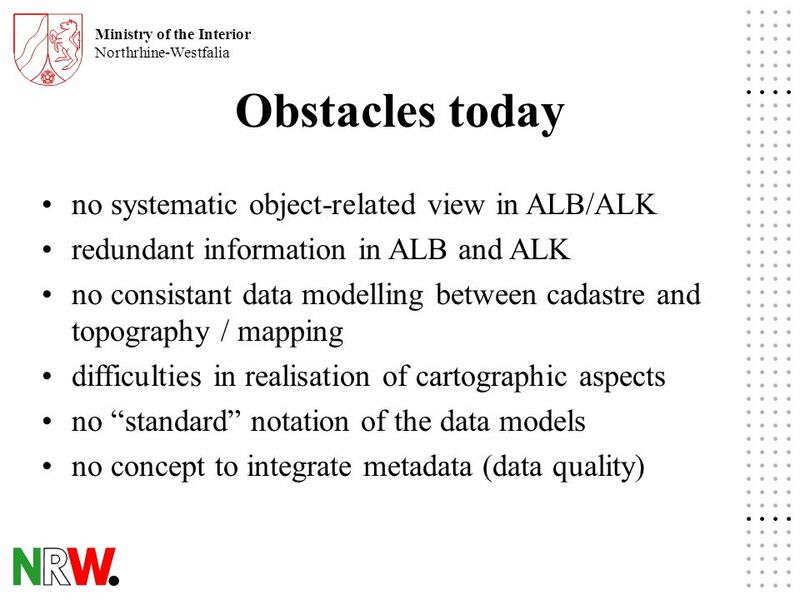 Federal Office of Topography - swisstopo A law on geoinformation in Switzerland Why? For whom? How? 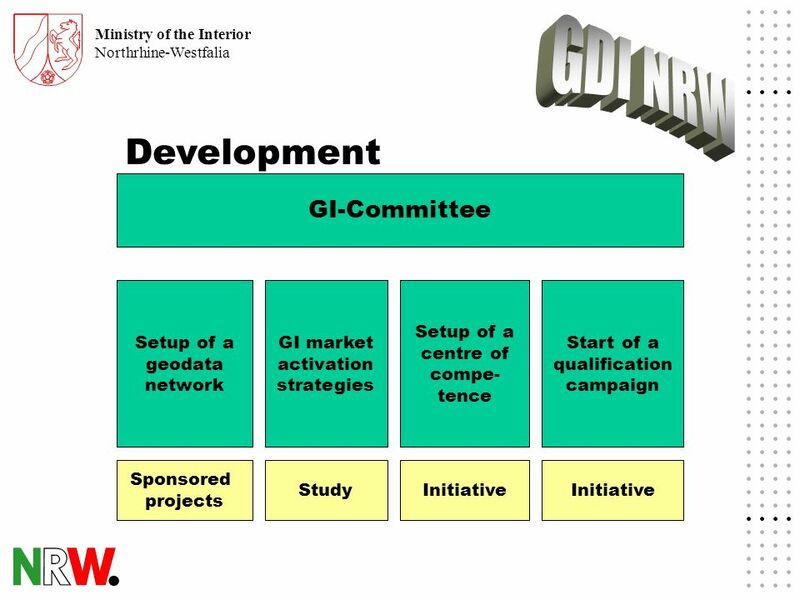 CLGE – GA Prag 1 march 2008 René Sonney Ingénieur Géomètre. 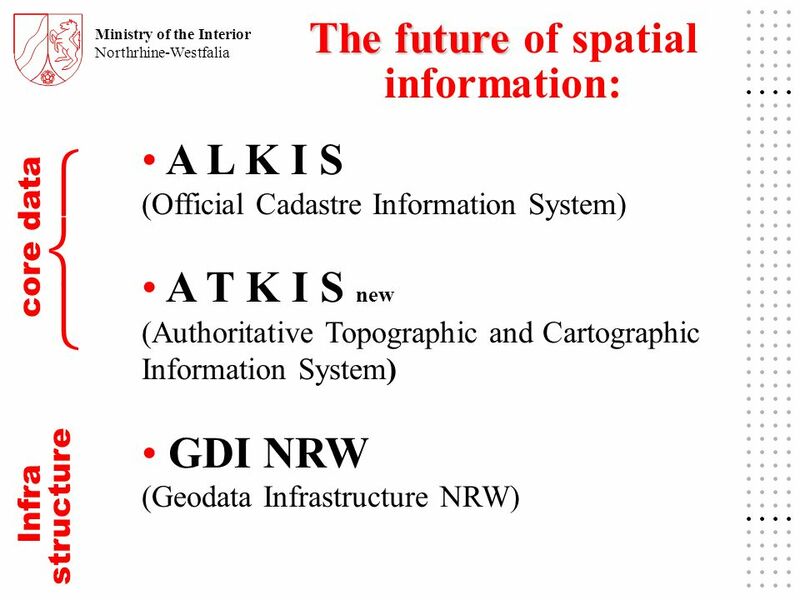 The Development of National Spatial Data Infrastructure in Indonesia Rudolf W. Matindas Deputy of Spatial Data Infrastructure National Coordinating Agency. 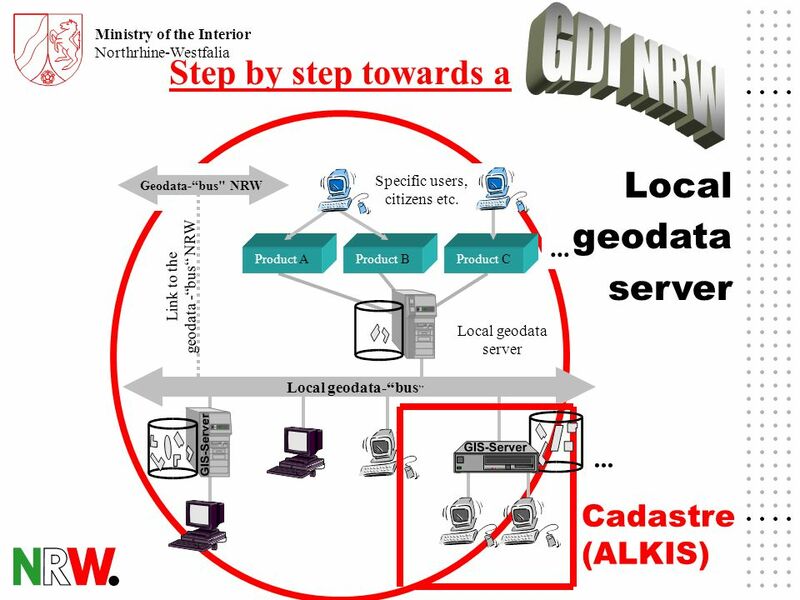 Conception of a Geospatial Data Infrastructure in Northrhine- Westphalia, Germany (GDI) Institute for Geoinformatics (IfGI), University of Muenster Robert-Koch-Str. 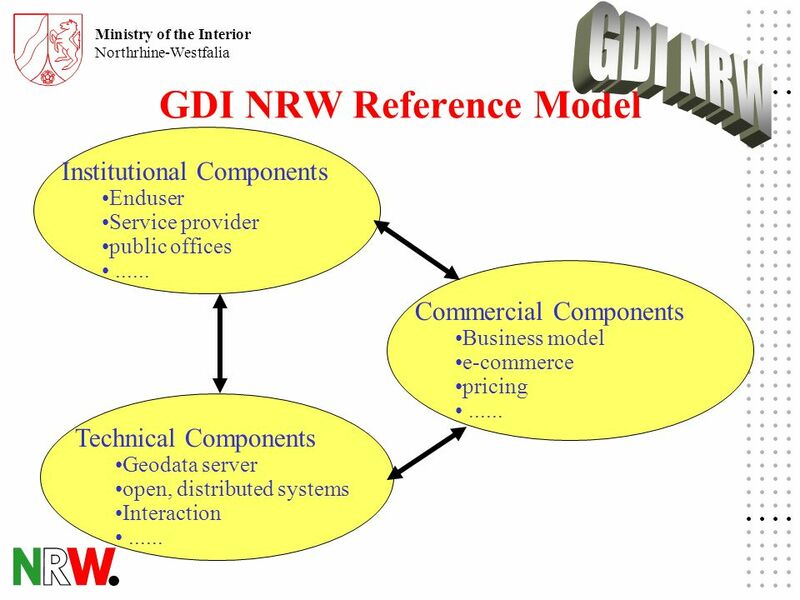 6th GSDI Conference FROM GLOBAL TO LOCAL Budapest, September 16-19th 2002 r. Ewa Wysocka Institute of Geodesy and Cartography Poland, Warszawa, ul. 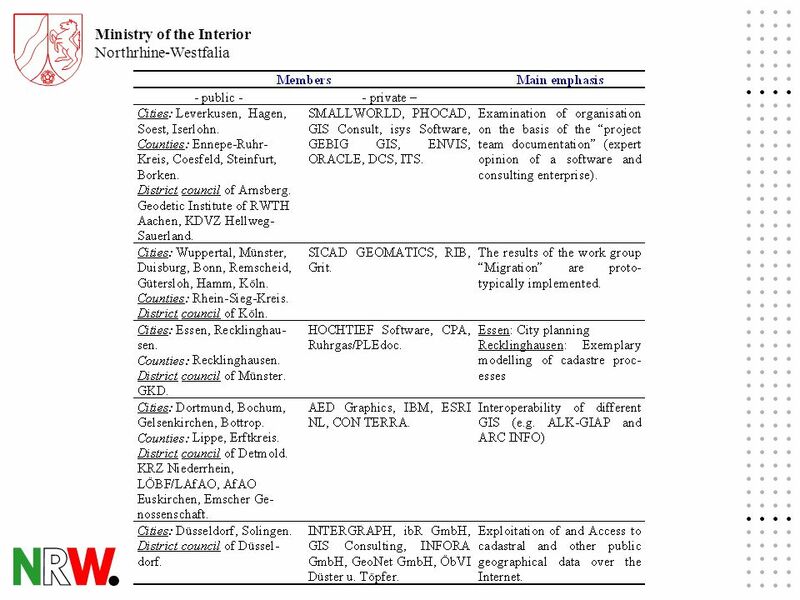 Jasna.